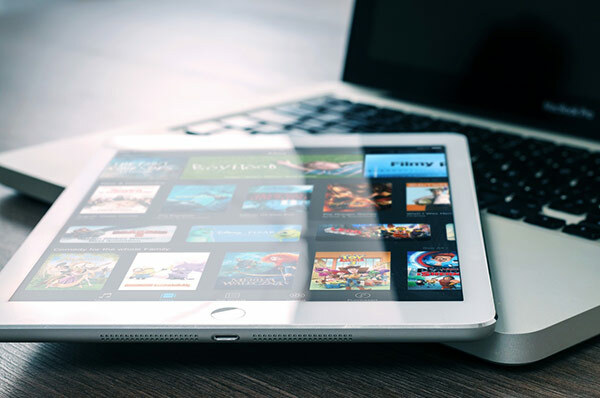 If you’re going to stream movies through Netflix, Hulu Plus, HBO Now or Popcorn Time – you don’t need a lot of extra storage. In fact, even a basic Chromebook laptop with 16GB or 32GB can be enough. But if you prefer a Windows laptop or a MacBook for watching movies, look for 128 GB. You also can install Kodi – an entertainment system on a laptop. If you keep movie files on your hard drive, then you’ll need a lot of space for them. In that case, I recommend going for a laptop with 500GB or a whole Terabyte of storage. SSD is entirely optional. A laptop with a fast SSD storage can start up and shut down a lot faster than a notebook with an HDD. But apart from that, there’s little to no benefit of having a Solid State Drive. These drives are a lot more expensive than older HDDs. So if you can afford an SSD – get one. Especially if you’re streaming movies and series through services like Netflix. Then a small, but fast SSD is all you need. You’d need a minimum of 2GB of RAM for a Chromebook/MacBook and 4GB for a Windows laptop. Though, I would recommend targeting for 4GB (Chromebook/MacBook) or 8GB (Windows laptop). That way, the laptop will not feel outdated and sluggish after some use. A good screen is essential for the best laptop for watching movies. Now, I’ll quickly go through every relevant display spec and metric. Resolution. I recommend going for at least Full HD (1080p) resolution. Laptops with Full HD display cost $370 and up (with a few worthy exceptions). If your budget is tight, you could go for a cheaper HD laptop (720p). Very high resolutions – QHD and 4K – are not required. Anyways, most movies are limited to 1080p resolution. That means all extra pixels couldn’t be put to use. Panel. I would steer anyone looking for the best laptop for watching movies towards laptops with IPS panels. These have superior contrast and viewing angles compared to other types of display panels. Period. Meanwhile, older TN panels look good only if you’re staring straight to the display. Otherwise, you’ll see distorted colors. That’s not ideal when watching a movie with somebody else. Brightness. I would guess most watch movies indoors. That means a bright screen is not needed. But if you’d like to watch films outdoors, especially during the daytime – a bright screen is critical. This metric is rarely found on the websites selling laptops and even in the websites of the manufacturers. Usually, a 3rd party reviewers are the ones measuring this and other, more technical metrics. I’ll cover the metrics for the laptops I recommend. Contrast and color gamut. These specs are often overlooked when searching for a laptop to buy. That’s because they are not easy to find. Since I have collected the data for a lot of laptops, including these 2 metrics, I’ll give an edge to laptops with strong contrast and wide color gamut (more vivid colors). But if you’ll be searching for a laptop on your own, color range and contrast are usually only relevant to professionals whose job depends on accurate color representation. For watching movies, knowing these numbers is optional. + Nobody likes having a cord dangling from your laptop to the ground when watching a film. There are benchmarks that precisely measure how long a laptop can last during – will it be enough for 1 movie or a full binge of an entire season? A lightweight laptop is great for carrying around from a table to a sofa or to a bed (#lazySundays). Unsurprisingly, most of all, laptop weight depends on its screen size. Having a fanless cooling “system” is a great addition for a laptop for watching movies. These laptops are dead-silent and they do not distract if you watch movies through speakers. But be aware that fanless laptops can get quite hot which is not good if you like to watch movies while laying in bed. Finally, a good set of stereo speakers and a backlit keyboard would be a nice bonus. Video card – any modern graphics chip will be enough. Ports – until there are USB, HDMI ports, and a 3.5mm audio jack – there’s nothing to worry about. And these come in nearly every laptop. And those that don’t have HDMI, usually have DisplayPort or USB 3.1 Type C which both have HDMI adapters. This is the cheapest laptop for watching movies. There are a few less expensive laptops but this one is worth the extra $10-$40 compared to the absolute cheapest laptops. Acer Chromebook has 2 main selling points: a day-long battery life (nearly 10 hours) and 720p screen with an IPS panel. Apart from great viewing angles, the screen itself is not particularly good: limited resolution, 200 nits brightness, 550:1 contrast and ~65% sRGB coverage. Sadly, each of these metrics is below average. But when compared with other netbooks at this price range – it’s still pretty good. It has a small 16GB SSD and only 2GB of RAM. We can forgive the tiny storage and minimal memory size as this is a Chromebook. If you need a basic cheap laptop for watching movies and using the internet – go for this Chromebook. Just beware, that Chromebooks are dependent on internet connection and you will not be able to stream movies without it. In contrast to the previous Chromebook, there is no doubt that this one has a great display. It also has an IPS panel, but this time, it comes in Full HD resolution, well above-average 370 nits brightness, solid 850:1 contrast and average-ish color space. A screen of this quality is usually only found around $700 price point. Considering that, this Chromebook is a great deal. What is more, it has 4GB of RAM, which was the main limitation of Acer’s Chromebook performance-wise. 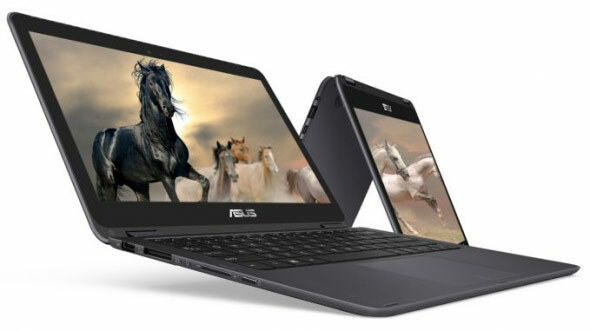 If you need a cheap and small Windows laptop for watching movies – Asus VivoBook should be the first laptop you consider. It has a small SSD storage but it should be enough for streaming and even storing a few movies. Sadly, it has no IPS panel and its brightness is rather underwhelming – only 200 nits, which is pretty dim even for an entry-level laptop. But considering all that, it’s still the best laptop for streaming and watching movies IF you cannot go up to Acer Aspire E 15, which I’ll cover now. Acer Aspire E 15 is one of the best-rated budget laptops in 2016. It is a 15.3″ laptop which weighs exactly what one would expect – 5.3 lbs (2.4 kg). That makes it one the heavier laptops in this list. At the same time, it has the largest screen. This Acer model is great if you want a more powerful laptop that can handle more than weekend binges. Due to its mid-range processor and 8 GB of memory, it can be used for office work. What is more, its entry-level dedicated Nvidia graphics card can be used for light gaming. Despite its great performance, it still manages to squeeze out 9 hours of battery life – if screen brightness is lowered to ~20%. But it’s not perfect – lack of an IPS panel and a bit limiting 250 GB storage is non-ideal. Overall, if you want a well-balanced laptop for watching movies and for work/studies – this is your best choice. This is a brand new laptop for Asus. It’s supposed to be a replacement for Asus UX303CA line of small ultrabooks. The processor of this laptop is comparable to i3-5005U and i3-5010U. These are entry-level processors but they’re enough for watching movies and other basic use you’d expect from a laptop. More importantly, this processor is optimized for low power consumption and low heat which allows it to be completely fanless. It has a huge 500 GB SSD storage which will ensure great performance and plenty of space for movies if you want to store them for watching them offline. And to top it off, it has a great IPS Full-HD touchscreen with 300 nits brightness (good), 1400:1 contrast (great) and 90% sRGB coverage (great). One of the best displays you could find under $1000. It’s a convertible 2-in-1 laptop which makes it that much more comfortable for watching movies. Overall, this Asus ZenBook is a great cheaper Windows version of Apple MacBook. That makes it more than enough for watching movies. If you’d like to get a basic Apple laptop for watching movies – MacBook Air should be your primary choice. MacBook has a good Intel Core i5 processor, plenty of memory and 250 GB of Flash (SSD) storage. It also has a very long battery runtime and a great IPS display. Sadly, its resolution is a bit outdated and not ideal for watching movies. But a price jump up to more expensive MacBooks is just too steep to justify getting more expensive models. That’s why this is the best MacBook for watching movies. I recently purchased the Acer Chromebook CB3-131-C3SZ. When streaming the Olympics or anything from NBC.com to AMC.com, wired or wireless, it stutters and sometimes freezes. I do the very same thing on my 2011 Mac Book Pro and no stutters or freezes. What can be going on? How you’re using a wired connection as there’s no LAN port in the Chromebook? USB modem, LAN/Ethernet to USB adapter? Right now, it sounds as a wireless internet issue. There’s a Reddit thread on fixing video strutter. When determining the quality of a display you have missed an essential element, PPI. The Pixels Per Inch make a big difference on how crisp and clear the image will be. You can have 2 1920×1080 displays, but if one has 135ppi and the other has 226 ppi, one will look like crap next to the other. Manufacturers of lesser HD displays often hide the PPI. Only the manufacturers of high end displays boast (rightfully so) about a high PPI. 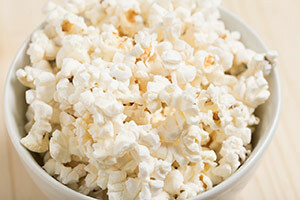 What is best movie watching with 17.3 screen?? Nothing complicated – using AmazonPrime for movies, tv show, email and search engine. thank you. I would like a 17.3 or larger screen. Thank you. I am currently looking for a laptop to connect to a TV monitor (41 inch or larger) and watch movies from that. (Netflix, Amazon etc.). Do the same standards apply for this usage, or is something more required to get a good picture on a larger screen? Thanks for the review, Zyg. This gave me some good ideas about what to look for. Good speakers and sound are important to me as well. Yes,size of screen is probably top priority for most. 17″ or bigger. And for me a beautiful picture. Hust wanted to thank you for writng this article. I found it very useful! I’m a cord cutter and currently use Plex Media server, stored on my PC, and Roku, to watch all of my content. I’m in Canada, so I also use a VPN to watch American content. I need a laptop to download my Plex server to so that I can travel with it. I don’t store movies, etc, just stream from Primewire, networks, etc, through Plex. At home it would be my media centre through my smart tv and Roku. What should I buy? Awesome post for movie lovers who want to watch the movie at their room. Allstockin offer Top 5 Best Budget Refurbished Laptops under $100 for people who have low budget and also for gaming lovers. The MacBook Air does not have a IPS display, its the only MacBook that does not have one. Its pretty good and better then most TN screens on cheap Windows notebooks. But you’ll have to buy a MacBook or MacBook Pro to get a good Retina IPS display. Let’s also remember not all IPS screen are of the same quality just like a TN screen. IPS is just a type of screen rendering technology and does not guarantee image quality or color accuracy. Some have weaker brightness which may not be great in a brightly lit room or outside. Read reviews carefully on screen quality which in my book is a priority over anything else given your eyes will thank you for a good quality screen.